02/04/2004 Doom Shall Rise Festival, Chapel (Goppingen, Germany) While Heaven Wept, Penance et al. 21/03/2008 UK Metalfest 2008 Day 1, Bedford Park (London, UK) Blaze Bayley, Kachana, Lost Legion et al. 25/10/2009 10 Years of Musketeer of Death Fest, The Frontline, (Gent, Belgium) The Prophecy, Imperious Malevolence, Hysterica, Hicsos, Inferi et al. 28/04/2012 SWR Barroselas Metalfest 15 (Barroselas, Portugal) Immortal, Candlemass, Asphyx et al. 29/09/2012 Dublin Doom Days Chapter IV, The Pint (Dublin, Ireland) Argus, Solstice, Ophis et al. 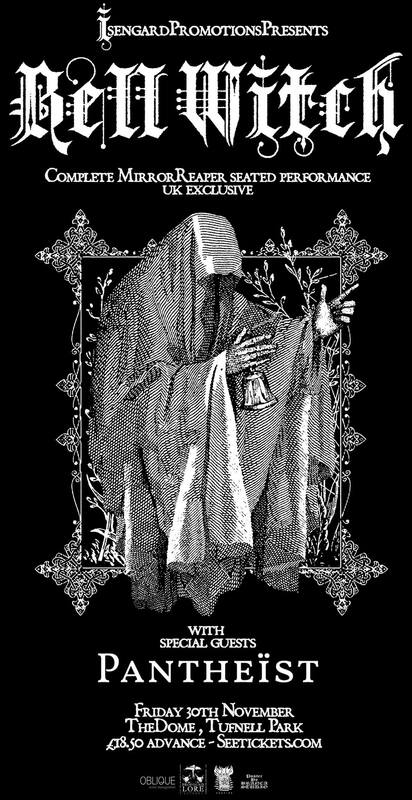 12/03/2016 Doom Over Edinburgh 2016, Bannerman’s Bar (Edinburgh, UK) Officium Triste, Eye of Solitude, Marche Funèbre et al. 27/03/2016 Doom Over London – The Sixth Edition, Boston Music Room (London, UK) In the Woods, Swallow the Sun, 40 Watt Sun, Lord Vicar, Black Moth, Falloch, Coltsblood, Darkher, Mourning Dawn, The Death Letter et al.